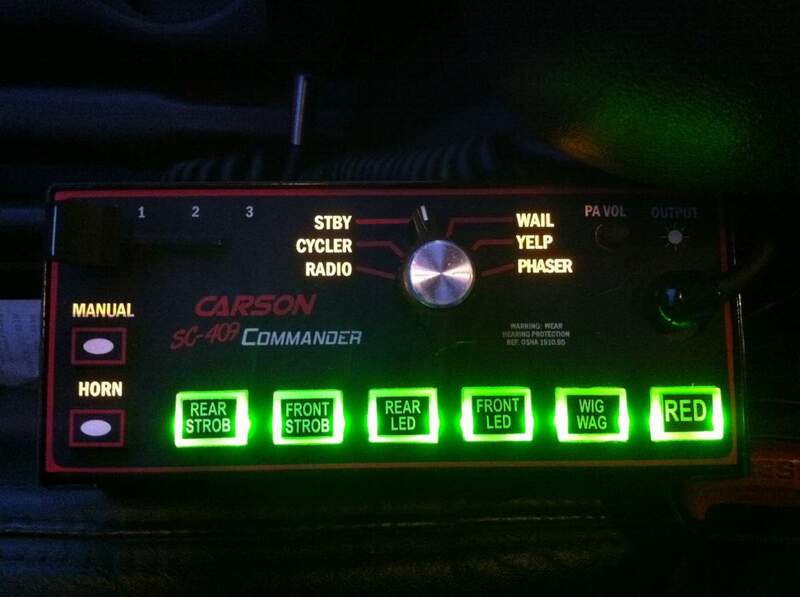 SC-409 Commander Introducing the SC-409 Commander: the most technologically advanced and stylish console mount light control siren. 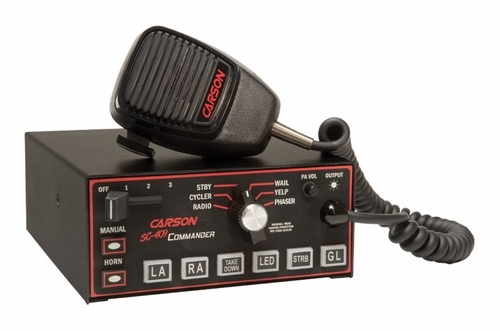 The new Commander incorporates superior versatility through face programmable and DIP switch selectable options to control nearly every kind or lightbar, directional light, auxiliary light, and other auxiliary equipment including multiple gun locks and video camera systems. 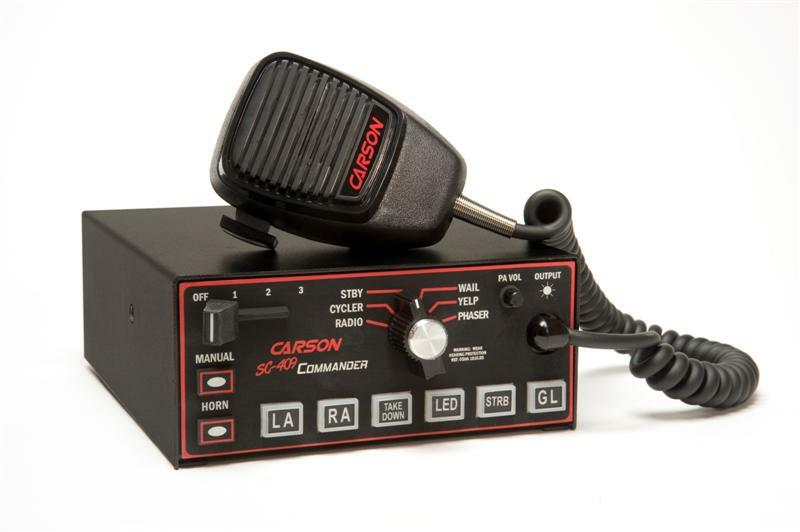 The sleek and stylish design and layout of the face and connections make the SC-409 COMMANDER both easy to operate and simple to install and program. The rubberized face is soft to the touch but sturdy enough to take the rigors of everyday use. For more information, visit our website or give us a call. Designed to power one or two 100-watt speakers, the SC-409 Commander includes a 6 position rotary switch including the new Cycler setting which allows the operator to select the Horn Ring Cycler 2 (HRC2) mode from the rotary switch. There are also two override membrane push button switches for Manual and Air Horn control. A pursuit ready lever/slide switch for up to 60 amps of primary light control has the flexibility to be progressive, non-progressive, or partially progressive, tie auxiliary switches to programmed positions on the lever/slide switch and automatically run the siren tones. The siren is LED backlit and the auxiliary switches turn red when activated. The noise canceling microphone has P.A. override in all positions except Radio with a face mounted volume control knob. The Siren Cutout connects to the door switch and automatically disables the siren when the driver's door opens. The siren is installed using detachable connectors with screw-down terminals for all connections except the lever/slide switch, which utilize heavy-duty screw-down terminals. Each output is individually fused and all fuses are externally accessible. As with all Carson Sirens products, the Commander siren is backed by a no-hassle 5-year limited warranty. Nice item, very good service. Thank you for Businesses.